When 20-year-old Austrian soccer player, Martin Hofbauer, had his lower leg amputated, he couldn’t imagine that less than two years later the Fédération Internationale de Football Association (FIFA) would approve him to play again. Hofbauer became the first soccer player with a prosthetic leg cleared to play at a championship level. Hofbauer is not only an inspiration to his teammates, but is also inspiring Aurelien Dantin, a student product designer from Lille, France. Dantin is the creator of the Adidas Impetus Soccer Prothesis and is striving to design a prosthetic that allows amputee athletes to run, accelerate, cut and kick so they can once again enjoy the game they love. 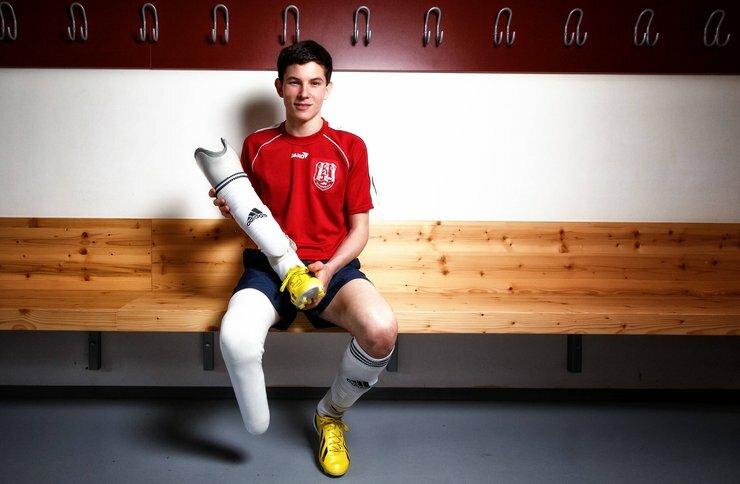 "I wanted to create a prosthetic leg to help people play soccer," Dantin said. "There are 5 million amputees in the world – including 40,000 sportsmen." Dantin based his original design on the running blades made famous by Olympian Oscar Pistorious. Dantin said some of the prosthetic could be manufactured from 3D-printed titanium. The customizable prosthetic also features replaceable cleats, and shin guards and foot kicks (shoes) that can be designed with team logos and colors.